Comment: I would like to get an estimate for dry rot in back of house. In cedar wood around windows. Comment: I would like to get an estimate for repair exterior trim. Comment: We're looking to replace the aluminum siding on our 692 sq. ft. house with vinyl siding. Comment: Aluminum Fascia hail damage about 145 LF 10 inch high on house and garage. Damaged Fascia is straight runs that is no fancy complacated corners or curves. Fascia covers the gable boards. Hope that this helps. Comment: Repair wood and stucco around garage doors. Denver Siding Contractors are rated 4.74 out of 5 based on 1,825 reviews of 125 pros. 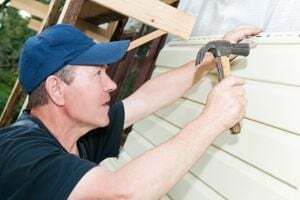 Not Looking for Siding Contractors in Denver, CO?